The Washington Post recently published an article on money blurts which has also been discussed at The Monkey Cage and elsewhere. 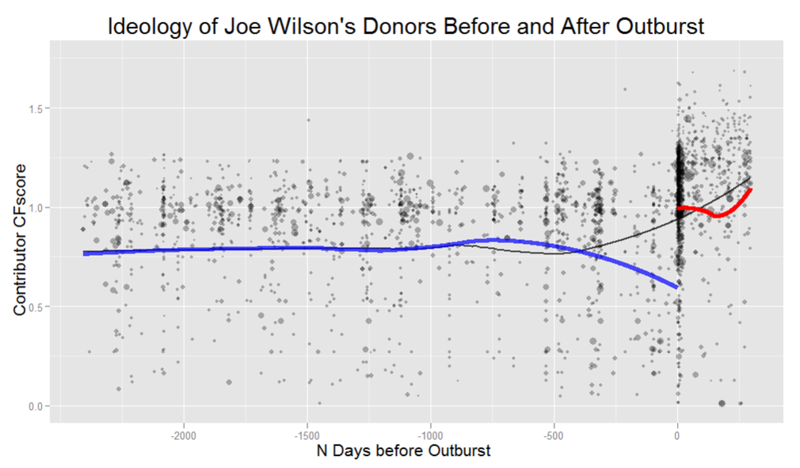 I’ve done some research on this topic, so I thought I would recycle a plot of Joe Wilson’s donors before and after his outburst. 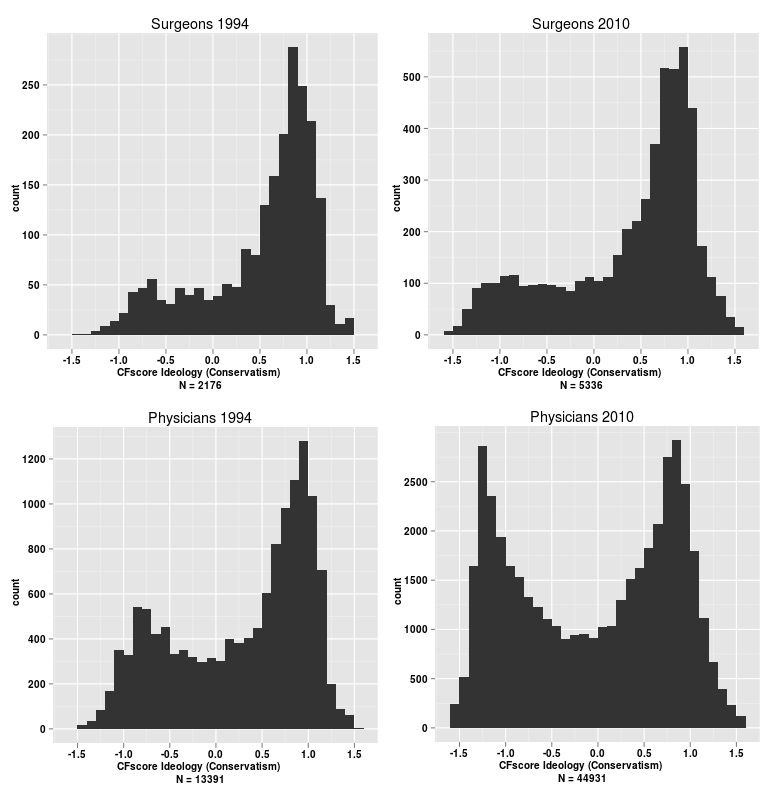 The figure shows the ideology of Joe Wilson’s contributors leading up to and following his outburst during the President’s health care speech. 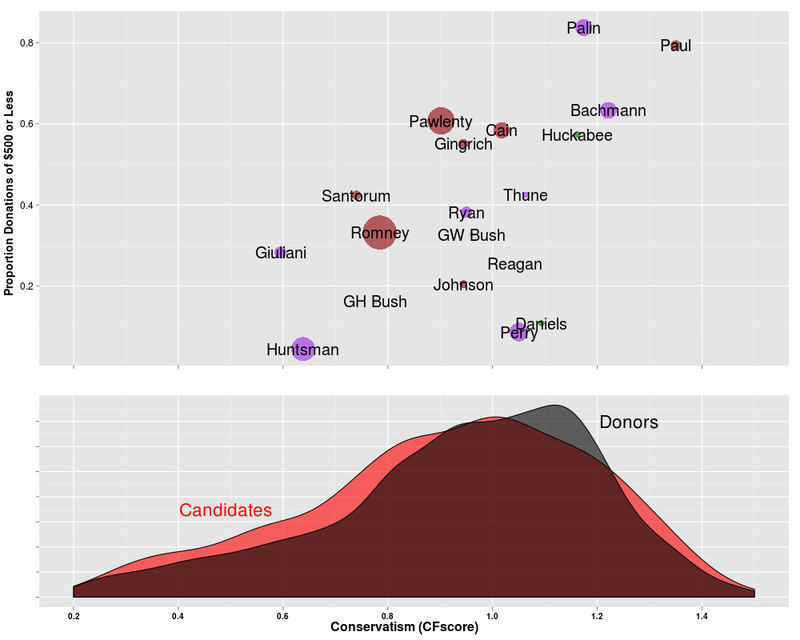 Each point represents the ideology of an individual contributor (higher points are more conservative) and is scaled by donation amount. What I find striking about the figure is not so much the spike in contributions following the outburst but rather that a large percentage of his post-outburst donors were more conservative than anyone who had given to him before. Many of the far-right donors that Wilson activated were the same people who later made up the core of the Tea Party’s fundraising base. 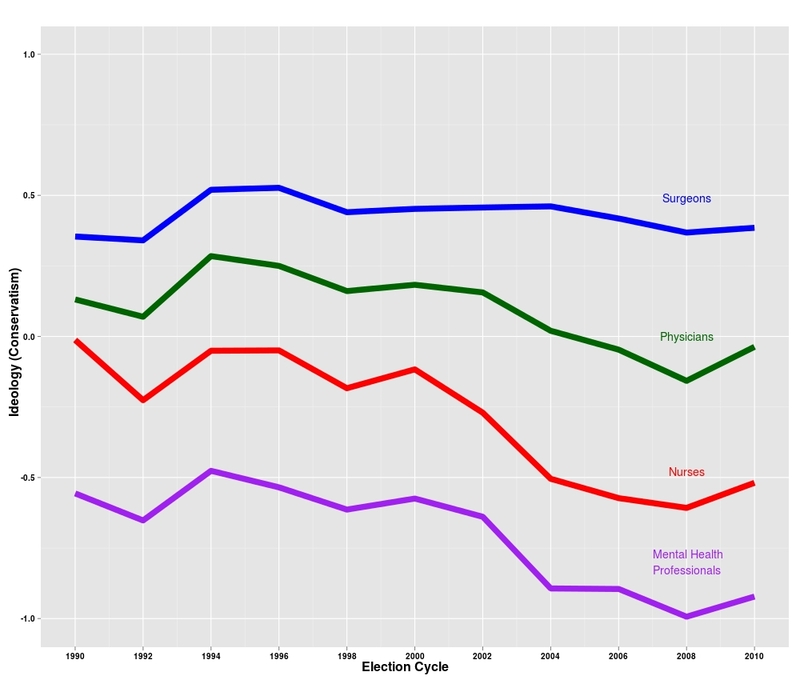 I’ve been researching the effect of small donors on elections and have found their influence to be highly polarizing (I’ll be presenting a paper on this research later this year at APSA). While the proportion of campaign dollars coming from donors giving in small amounts is somewhere in the range of 15 and 25 percent (depending on how one classifies a small donor), the influence of small money on electoral outcomes is augmented by the tendency to target a select group of candidates. 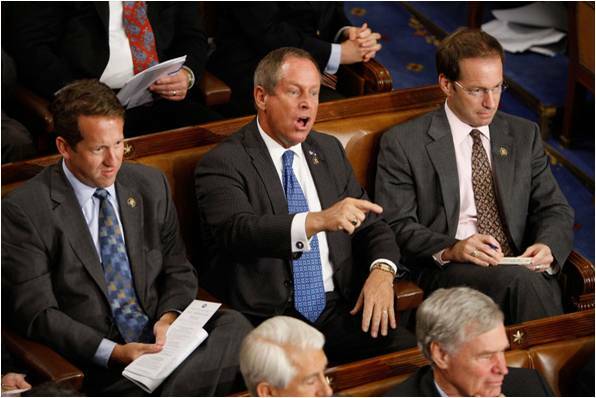 During the 2010 Midterms, ten percent of candidates reined in over fifty percent of the funds from small donors. A small donor network has become fashionable on the Hill and badge of honor on the campaign trail. Yet despite enjoying a reputation as protectors of democracy, small donors tend to be ideological warriors out to reward polarizing rhetoric and to punish bipartisanship.